The Giants’ 2019 season begin with a new face on the television screen: Kelli Johnson will be hosting Giants Pre- and Post Game Live on NBC Sports Bay Area. 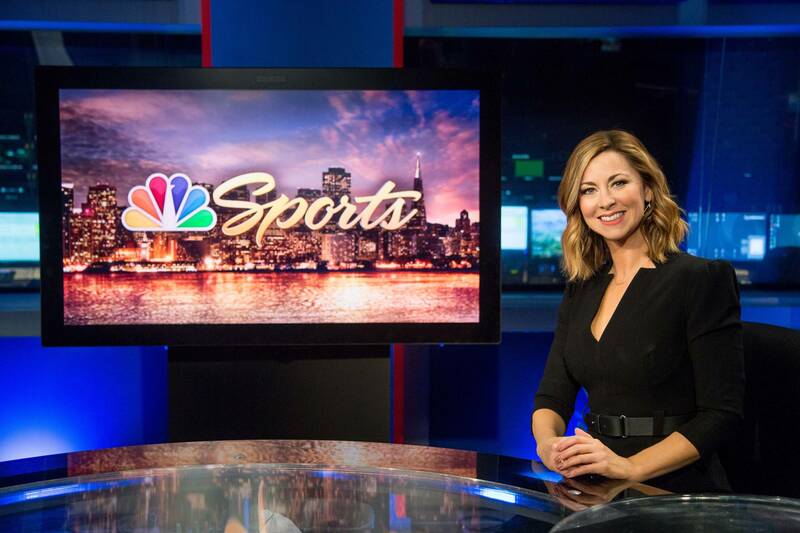 This is a new assignment for the talented, four-time Emmy Award-winning broadcaster, who has served in many roles during her time with NBC Sports Bay Area and NBC Sports California, but this is the role she dreamed that, one day, she would have. “I have loved baseball all my life and being involved with a franchise with such a storied history as the Giants is an honor and I am like a kid waiting for Christmas morning as I get ready for Opening Day,” Johnson said last week, before San Francisco opened the season in San Diego. Johnson is slated to be in the main air chair for all 147 regular season broadcasts for the flagship network, and has an impressive and extensive baseball résumé that includes coverage of the St. Louis Cardinals, Baltimore Orioles, Washington Nationals and Houston Astros. “My first big job in this business was covering the St. Louis Cardinals for the local NBC station KSDK,” said Johnson. I saw some great players like Albert Pujols, Mark McGwire and of course manager Tony La Russa, [who] made covering that team very special. Johnson grew up in Moscow, Idaho, where both of her parents worked as physical education teachers, with her father coached baseball while her mom coaching gymnastics. She went on to be a star guard for the University of Idaho women’s basketball team, and in 2016, she joined her father as a member of the Idaho Vandals Hall of Fame. Her father’s love of baseball and its rich history was passed on to Johnson. “I have always prided myself on my ability to find out the real stories behind the players that I have covered over the years,” Johnson said. “We are going to talk about who players are at home, what you should know about their families, the hobbies they have, so in short we want you to know the complete person. Johnson will be joined by analysts Rich Aurilia, Shawn Estes, Tim Flannery, Bill Laskey and Randy Winn. “That is about as good as it gets,” she said. On the radio, KNBR 680 AM returns as the flagship radio station for the Giants in 2019. They will broadcast all of the games in English with Hall of Fame and Voice of the Giants Jon Miller, beginning his 22nd year with the team. He is joined in the booth by Dave Flemming, who begins his 15th year as Miller’s broadcast partner. Erwin Higueros is in his 21st year as the Spanish language Voice of the Giants, and returning for his 15th season on the Spanish broadcasts is Tito Fuentes. Last but not least is Marvin Benard, in his third year as part of the radio team. All of their games can be heard on 860 AM KTRB.